This got weird, didn't it? There’s just something unique about taking cute animals and inanimate objects and giving them funny things to say. 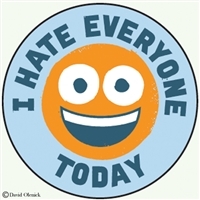 David Olenick has a knack for adding smart quips to his signature big-eyed drawings. His art manages to humanize broccoli, wine glasses, pancake stacks and more with common human emotions. 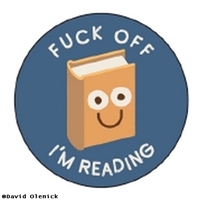 If you’ve ever felt anxiety, fear or embarrassment or had a little too much to drink, you’ll relate to these pin back buttons. 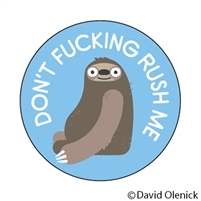 So if you can’t have enough cute David Olenick illustrations, you can buy a whole bunch of them right here. 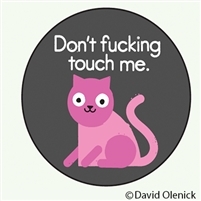 Find all the funny illustration pin buttons your heart desires! Remember to sign up for our wholesale program to earn some major savings.